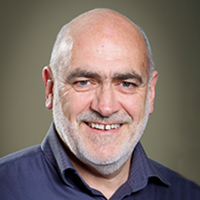 Tim McCormack is Professor of Law and Dean of the Faculty of Law at the University of Tasmania. He is the Special Adviser on International Humanitarian Law to the Prosecutor of the International Criminal Court in The Hague and a Director of World Vision Australia. Tim was a Fulbright Senior Scholar and the Charles H Stockton Distinguished Scholar-in-Residence at the Stockton Center for the Study of International Law at the US Naval War College in Newport, Rhode Island. He was also appointed Visiting Professor at Harvard Law School for the Winter Term in January 2016 where he taught International Criminal Law. Tim was the Foundation Australian Red Cross Professor of International Humanitarian Law (1996-2010) at the Melbourne Law School and also the Foundation Director of the Asia Pacific Centre for Military Law (2001-2010) – a collaborative initiative (established 2001) between the Melbourne Law School and The Australian Defence Force Legal Service. Tim has developed an international reputation for his expertise in International Humanitarian Law and in International Criminal Law. In June 2011 he was appointed by the Government of Israel as one of two international observers for Phase 2 of the Turkel Commission of Enquiry into Israel's processes for investigation of alleged violations of International Humanitarian Law. The Final Report of the Commission including its recommendations was presented to Prime Minister Netanyahu in February 2013 in Jerusalem. From 2002 – 2006 he acted as amicus curiae on international law matters to the judges of Trial Chamber III of the International Criminal Tribunal for the Former Yugoslavia in The Hague for the trial of Slobodan Miloševic. From 2003 – 2007 he provided expert International Humanitarian Law advice to Major Mori for the defence of David Hicks. In that capacity Tim travelled to Guántanamo Bay to attend the US Military Commission proceedings against David Hicks in March 2007. He is a member of the international advisory boards of a number of academic institutions in Israel, Germany and Sweden. Tim is a graduate of the University of Tasmania (LL.B. Hons. - 1982) and of Monash University (Ph.D. - 1990). He was the first Australian recipient of the Golda Meir Postdoctoral Fellowship to the Hebrew University of Jerusalem in 1989 and in 2003 he was awarded a University of Tasmania Foundation 'Outstanding Graduate' Award. In 2005 Tim was awarded the President of the Law Institute of Victoria's Pro Bono Award (in recognition of the provision of International Humanitarian Law and International Criminal Law Advice to Major Dan Mori, US Military Defence Counsel for David Hicks) and in 2008 Tim received the Law Institute of Victoria's Paul Baker Award for his 'sustained outstanding contribution to international humanitarian and human rights law through publication, teaching and public advocacy'. In 2010 Tim was appointed a Fellow of the Australian Academy of Law. He has taught various graduate and undergraduate courses in several Australian Law Schools (Melbourne, Tasmania, Monash, ANU and Wollongong) and at the Universities of Virginia, Auckland and Jerusalem. Tim developed Australia's first graduate coursework specialization in International Humanitarian Law and an internationally unique specialist coursework graduate program in Military Law - both at the University of Melbourne. He has regularly lectured to graduate recruits in the Department of Foreign Affairs and Trade (DFAT) and to ADF officers. In particular, he has been heavily involved in the teaching of Military Operations Law (with significant IHL components) to ADF Legal Officers as well as to legal officers, operators and planning staff from militaries in the Asia Pacific Region. In these roles Tim has contributed to the development of a culture of respect for the Rule of Law in the ADF and amongst regional militaries. Tim was a National Vice-President of Australian Red Cross (1999-2002) and chaired the Australian Red Cross National Advisory Committee on International Humanitarian Law (1994-2002). In 2001 he was awarded the Australian Red Cross Medal for outstanding volunteer service to the organization. In 2014 he was also awarded the Australian Red Cross Distinguished Service Medal for more than 20 years of voluntary commitment to the promotion of understanding of and respect for International Humanitarian Law. He was Deputy Chair of the Australian Foreign Minister's National Consultative Committee on International Security Issues (until 2008) and was also a member of the Foreign Minister's National Consultative Group on Bio-Security Issues (2005-2008). He has participated in Australian Government delegations to multilateral treaty negotiations in New York, Geneva, The Hague and Rome. He provides expert international legal advice to various Australian Government Departments and has delivered conference papers in many countries. Tim has established one of the world's strongest concentrations of research higher degree work in International Humanitarian Law, currently supervising 9 doctoral students. He is the general editor (with Christopher Greenwood of the London School of Economics) of the world's first academic book series dedicated to International Humanitarian Law (with Martinus Nijhoff Publishers in Leiden) and has recently co-edited the thirtieth volume of the series (his seventh book) – Beyond Victor's Justice: The Tokyo Trial Revisited. Tim was editor-in-chief (2005-2010) of the prestigious international journal - the Yearbook on International Humanitarian Law (published by the Asser Press in The Hague) - and is also a member of the editorial board of several other leading international academic journals.